At the end of February, Italy celebrates Carnival, a huge winter festival, with masquerade balls and loads of entertainment. Children and adults alike dress up and parade along the streets, throwing confetti at each other. During this time of the year, pastry shops are filled with a variety of traditional Carnival sweets. 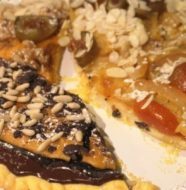 The best-known pastries are Lattughe, ribbons of sweet pasta fried and covered with sugar or honey. 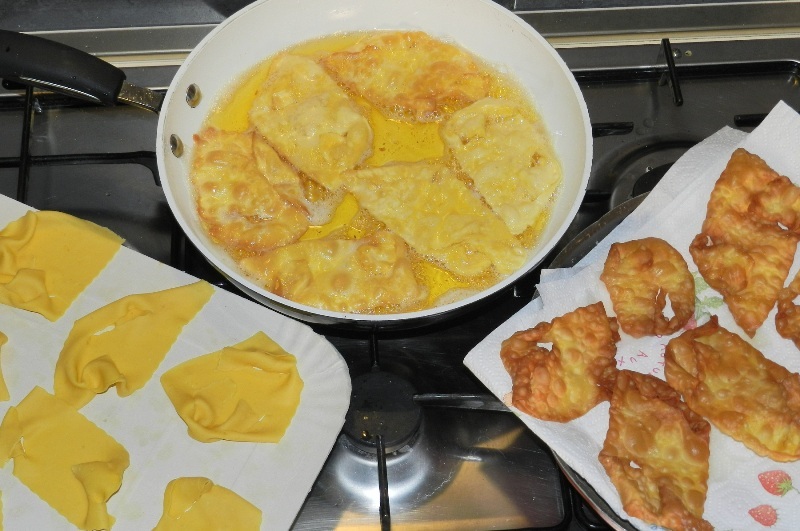 These fritters are eaten all over Italy, where they assume many different names:— Frappe, Cenci, Crostoli, Galani or Bugie. Place ﬂour in a bowl and stir in the granulated sugar. Slowly work in the eggs followed by the white wine. 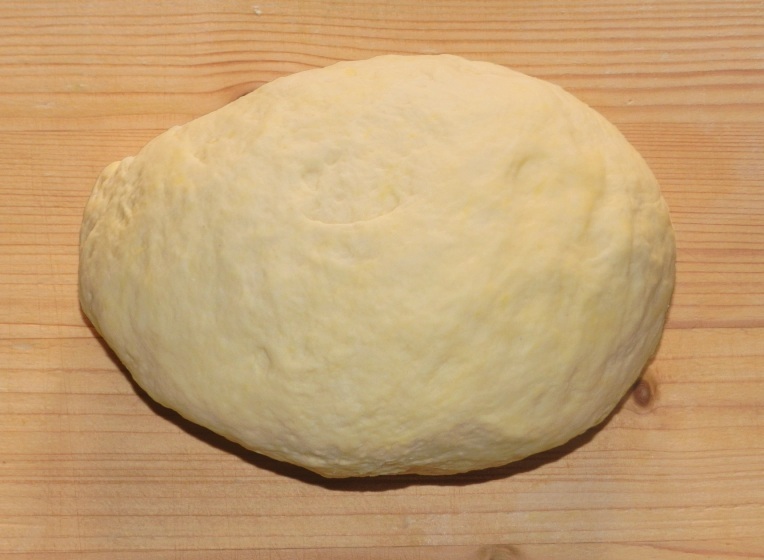 – Kneed until the dough becomes soft and pliable and let it rest for 15 minutes. – Dust a work surface with a little ﬂour. 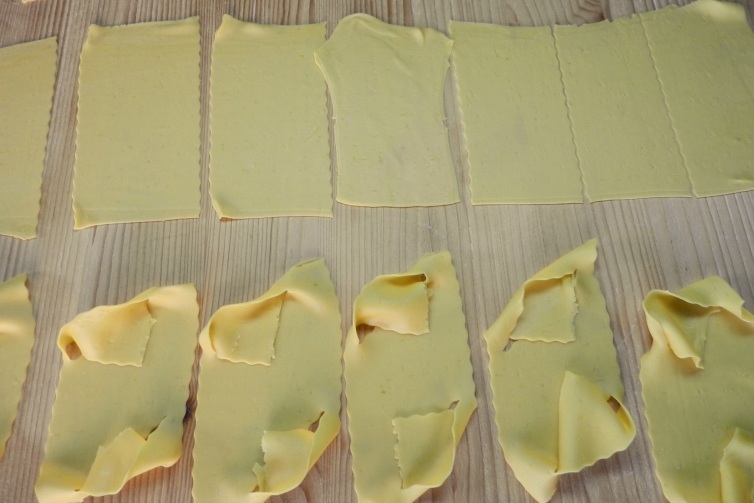 – Roll out the dough, cut pieces and pass them in the “pasta machine” for a few times, creating thin sheets (not higher that a couple millimetres). 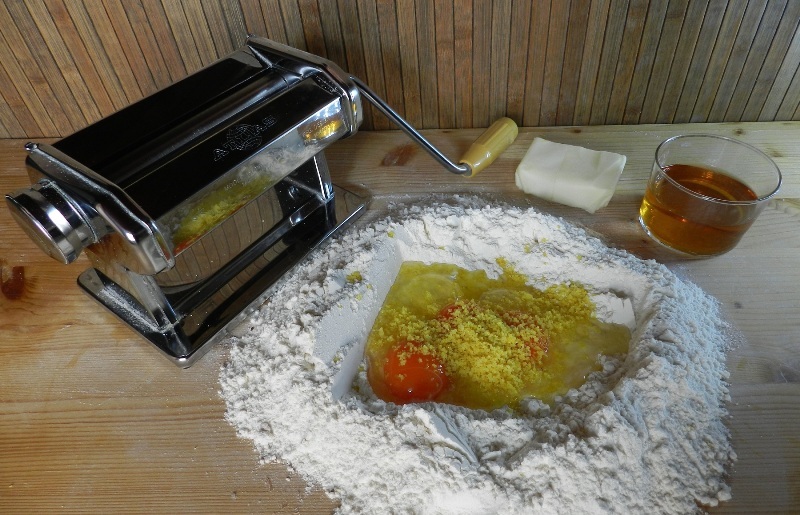 – With a serrated pastry wheel, cut it into strips. – Make two parallel cuts within the center of each piece and twist the opposite corners inside the holes without breaking them. 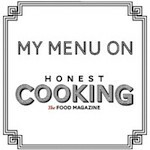 – Heat oil, and when it’s really hot, fry the Lattughe in small batches. 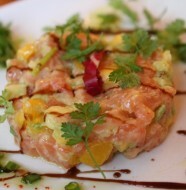 – When they are golden brown all over, remove from oil and drain well on kitchen paper. – Let them cool down and dust them with powdered sugar before serving. 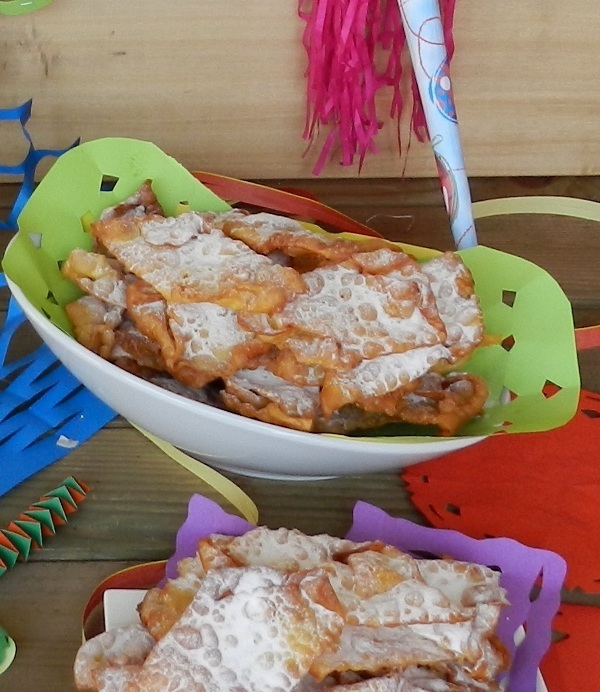 8 Comments on "Lattughe, Italian Carnival Treat"
Looks really authentic! I just came back from the Carnival in Venice and yes, they were serving these as dessert. Lady J thanks for stopping by! 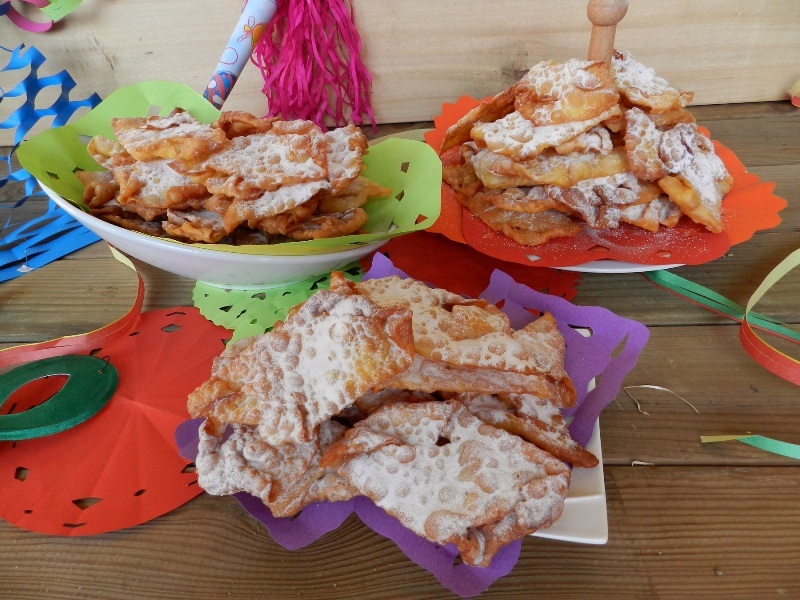 I saw your post about Carnevale di Venezia… did you get a chance to try “frittelle”? Those Carnival treats are really THE BEST! …especially the ones filled with “crema chantilly”! You have made these perfectly! What a lovely display! It feels like carnival indeed! We call these galani, cenci or crostoli. Every region has his own name for them. They are certainly very very good. A real treat! Well done on your blog. Everything looks so professional! Of course! Don’t they say “A Carnevale ogni scehrzo vale” ?! they look spectacular! just like my mom’s “frappe”. bravo!